Colt Woodsman 22LR,1950,nickel plated & master engraved by the late Robert Valade,Ivory grips,6",a true work of art-period !! 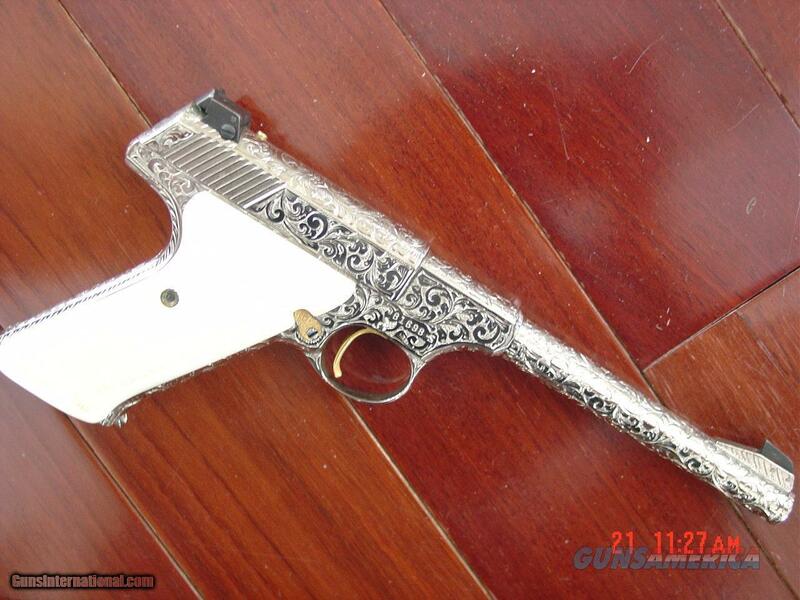 Description: Here is another 1 of a kind Colt Woodsman 22lr,that has been 100% fully deep hand engraved & nickel plated with a few gold accents,by the late Master Engraver Robert Valade, who passed away in 2017,so these works of art will be no more & will be going through the roof soon in values !! ,& my photos do not do the gun justice. way nicer in person,6" barrel,semi automatic & made circa 1950 & has rear adjustable site,& super nice REAL carved & checkered Ivory grips with very nice creamy color with nice grain etc.serial # is 81698-S maybe a 2nd series ? words just cant explain how beautiful this is.for a 67 year old gun. a true work of art for only $3395. firm + $35. shipping to your FFL dealer only.I am an FFL dealer,located in the Clearwater,Florida area. I accept bank wire transfers,direct deposits to Wells Fargo Bank,cashiers checks, postal & bank money orders,or personal & business checks,but those take time to clear. no credit cards or PayPal-sorry. I now offer 60 day layaway with 1/3rd down & 1/3rd per month. be sure to check out all my other unique listings. Stock No. : way nicer engraving in person-awesome showpiece ! !